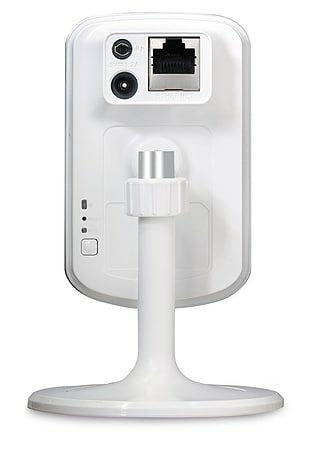 The Enhanced Wireless N Day/Night Home Network Camera is a versatile monitoring solution for your home or small office. Unlike a traditional webcam, the camera transmits and records high quality video images and audio for 7 days continuously, even in complete darkness courtesy of the built-in Infrared LEDs. With mydlink™ included, this camera provides the simplest way to access and manage your camera, whether via your computer or app on your iPhone, or Android device. Connecting a camera on your network and accessing it has traditionally required complex configuration. mydlink™ makes it easy to access your camera from wherever you are, whenever it’s convenient for you. A step-by-step guide has your camera up and running in a matter of minutes. 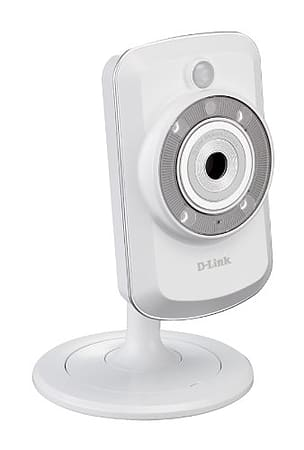 Then via a simple website you can set up a mydlink™ account allowing you to view and manage your camera from any Internet connected computer. If you have more than one camera, you can add it to your existing mydlink™ account and watch all your cameras from a single location. Accessing your cameras on the go is easy too. Just download the free mydlink™ app for your iPhone or Android and you can quickly and easily view your camera feed from anywhere with a wireless or 3G connection. Thanks to this app, you can monitor on-the-go even if you don’t have access to a computer. This mydlink™ camera includes a MicroSD card slot and a pre-installed 16Gb MicroSD card to record audio and video directly onto the camera, without the need of a computer being switched on. You can setup the camera to record only when motion is detected, or continuously for up to 7 days via the camera’s intuitive web interface. Once 7 days have been exceeded and the MicroSD card is at capacity, older footage will be recorded over. The built-in PIR sensor can detect motion and trigger email alerts. All these features can be easily configured via the User Interface, which makes this camera a truly comprehensive home monitoring system.